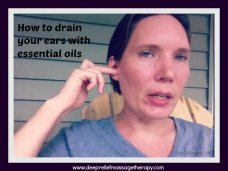 In this post I will show you a simple ear drainage technique with the essential oils. Here are a list of suggested oils to use. The first oil that is used is lavender. You put one drop on the palm of your hand and apply the oil all around the outside of the ear and down the neck. Next with the left over oil in the palm of your hand put a dab on your middle finger. And put your middle finger just inside your ear and with a gentle motion. Move your finger forward, back, up and down. This is going to help open up the ear canal and increase drainage down the neck. 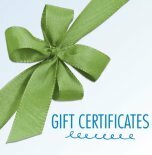 You will repeat this for melaleuca and peppermint oil. This simple 5 minute trick will really help to open up the ear canal and help the fluid to drain from the ear and down the neck. If you have sensitive skin or are using this method on a child apply a carrier oil such as fractionated coconut oil to the area first, then carry on with the 3 suggested essential oils.